Let's move on to the glorious food! 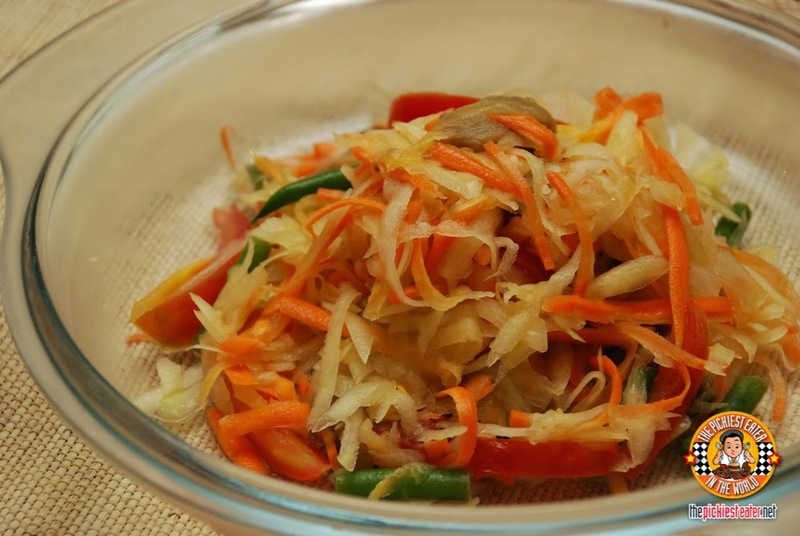 We started with the Papaya Salad. It looks and tastes like atchara (which I don't really eat), but I kind of liked this salad. I found it very refreshing at the same time having lots of flavors play in your mouth. Next was the Gado-gado, an Indonesian salad with slightly boiled veggies and peanut sauce. 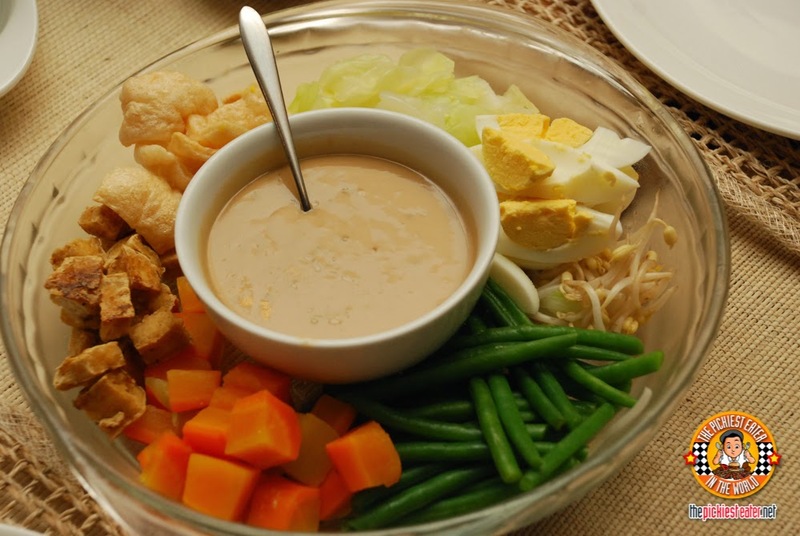 (Gado-gado means mix mix. Sort of like our halo-halo hehe). It's served in a platter with the sauce in the middle. But I guess when it's served, it's also mixed all together with the sauce. But we didn't mix ours. It was good because then I got to pick the ones I liked like the hard boiled egg, the carrots, bean sprouts, the string beans, and the most exciting ingredient there, kropek! I added a dollop of sauce on top, mixed it all together and it was delicious! The sauce had a nutty flavor that wasn't too overpowering. It was the first time I tried this and I really liked it! 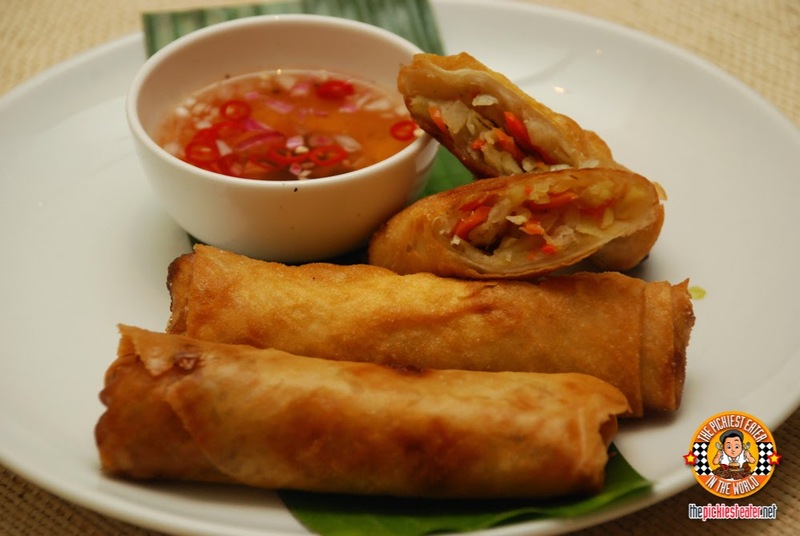 Then there was the Vegetable Spring Roll. The thickness of the wrap was just right. Very light and crunchy. And though it was all vegetable, it's still packed with flavors! Richie actually ate 2 rolls. And for a guy that doesn't eat veggies, that says a lot. It really went well with the vinegar mixture. 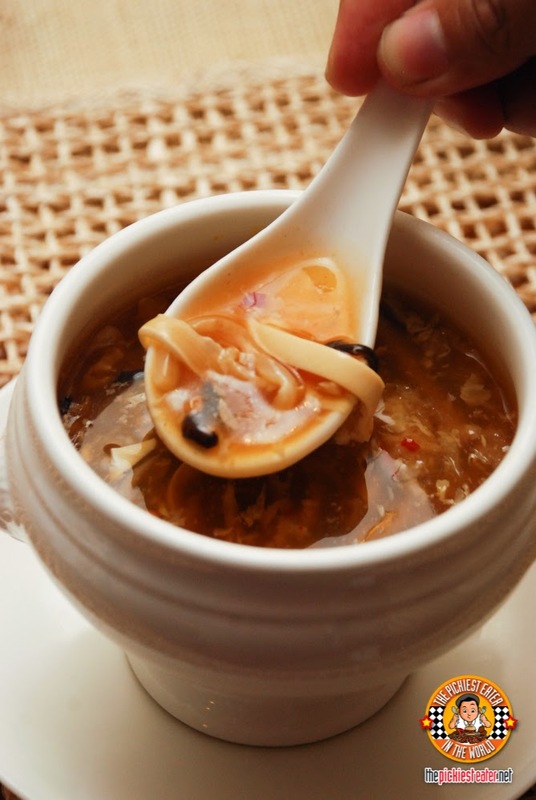 Next up was the Hot and Sour Soup which everyone really loved. For me though, it was a bit too sour for my liking. That's just me. 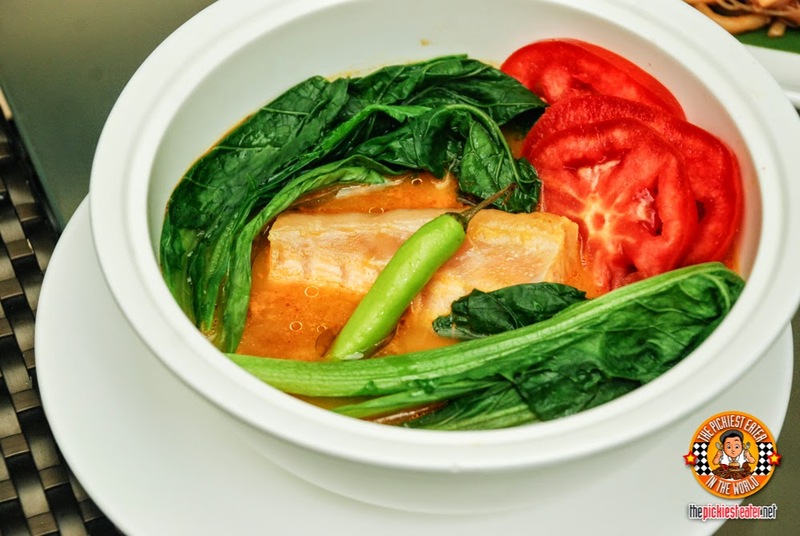 I did enjoy the different textures that the bamboo shoots, mushroom and tomatoes provided. Chewy! 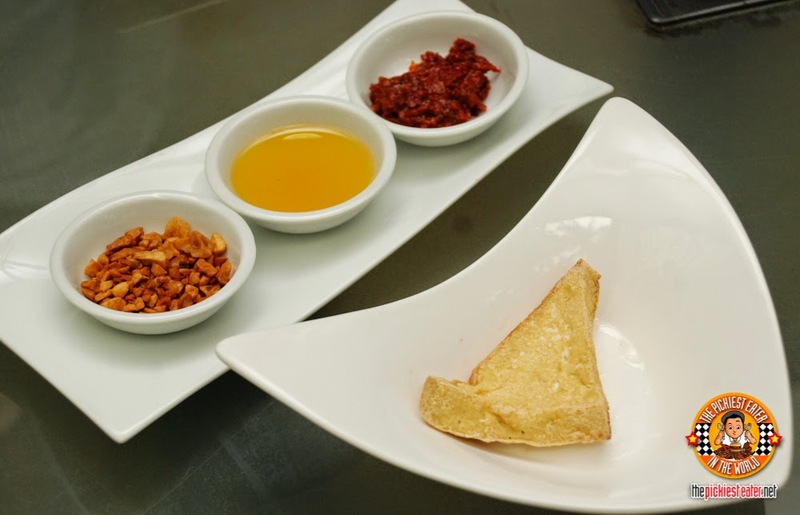 This tofu with dips is supposedly a side dish for the Hot and Sour Soup to balance the sourness. But we didn't get to try it hehe. And then came the really serious stuff! The Lapu - Lapu Miso was really delicious! The sauce had a touch of sourness, and the Lapu-lapu was buttery soft! I added a few drops of fish sauce (this is my personal preference with sauce meals), and BOOM! I was in heaven!!! The Hokkien Mee (Fried Noodles) was also good. Although Richie said it could use a bit more peanut sauce, I was too full to notice it. For me it was okay as it is. It's very filling! 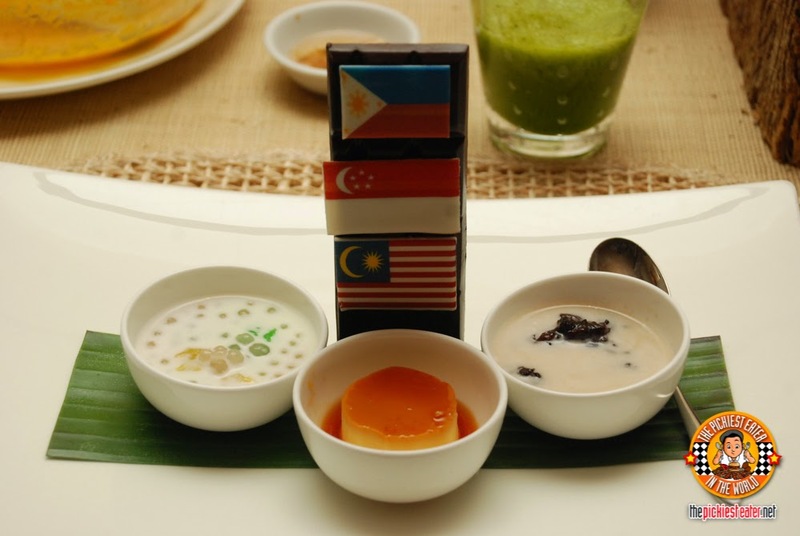 And finally, for dessert, a beautiful display Nam Wan (Taro Sago), Leche Flan, and Pulut Hitam (Black glutinous rice pudding), with a dark chocolate tower in the middle with the flags of the Philippines, Singapore, and Malaysia. All really delicious! For me anyway. I enjoyed each and every cup! 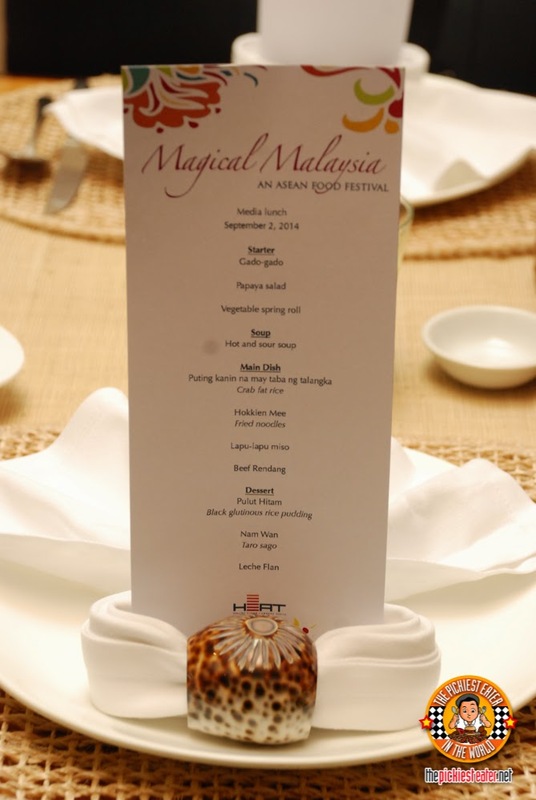 A perfect ending to this epicurean feast of Malaysian and other ASEAN recipes! 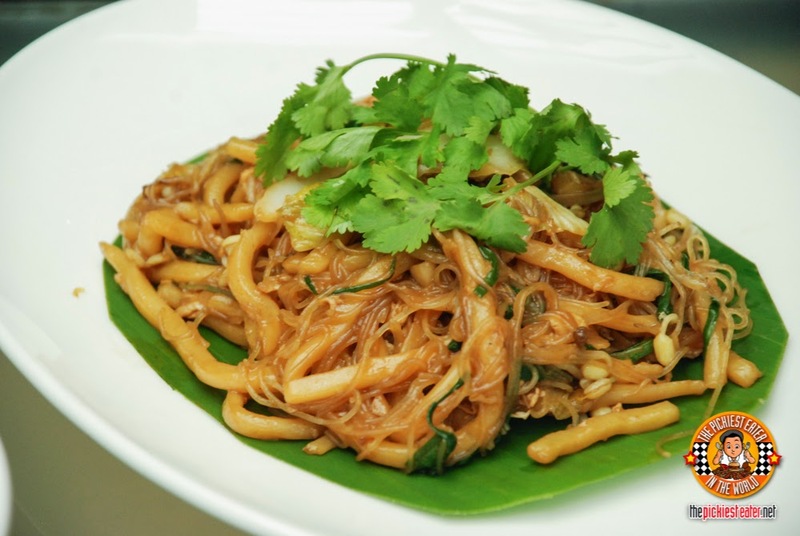 All of these amazing dishes from our neighboring Southeast Asian countries will be incorporated in the buffet lunch and dinner spreads from September 2 to 14, 2014 only. So you might want to hurry and take advantage of it as it is only available for a limited time! 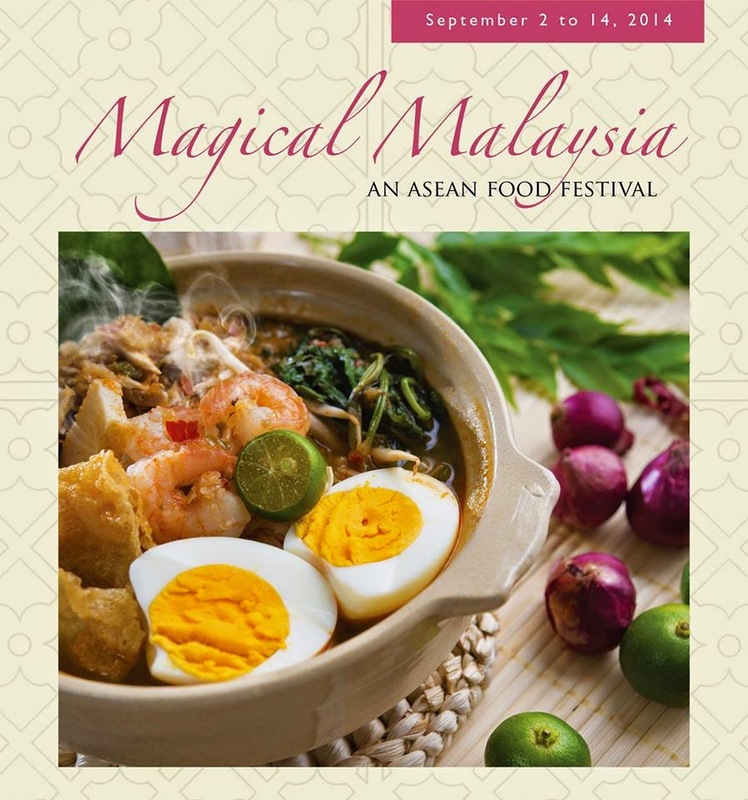 This amazing ASEAN feast is inspired by the ASEAN Culinary Delights cookbook which was published by the ASEAN Ladies Foundation. 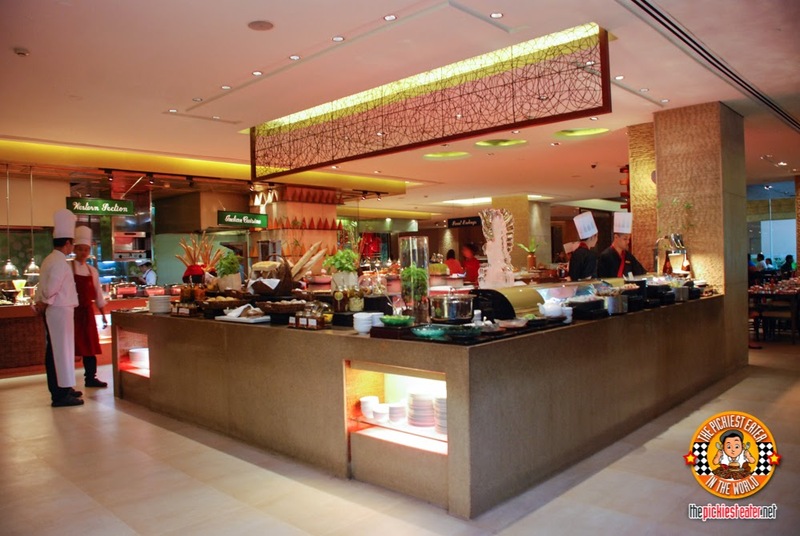 The Buffet rate is Php 1,787 net per person and again will be running from September 2 to 14, 2014 for Lunch and Dinner. 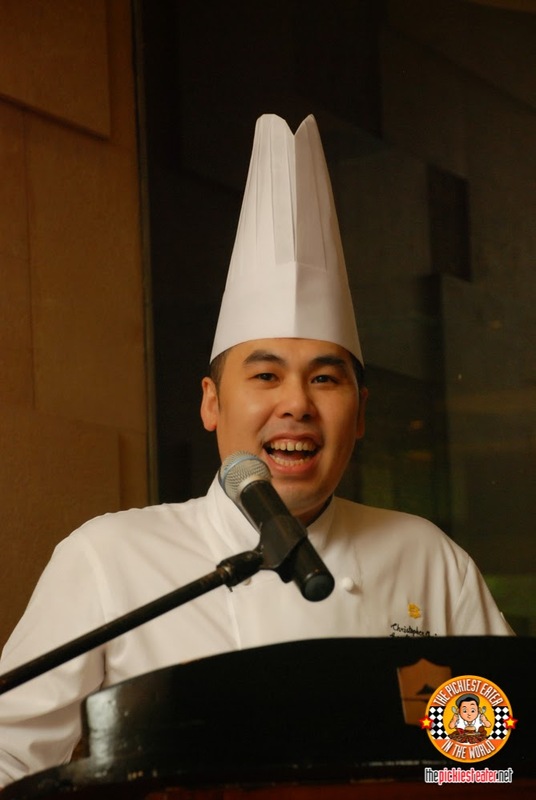 Like EDSA Shangri-La on Facebook to get updates to their upcoming promotions! 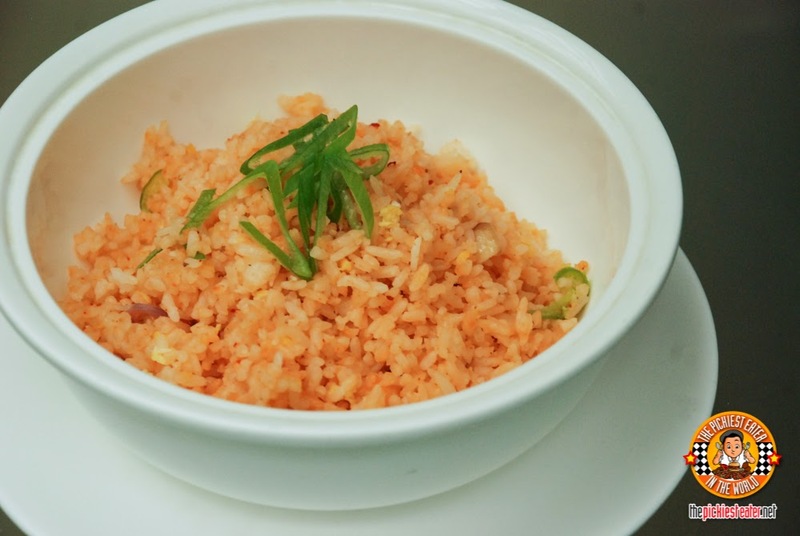 For inquiries and reservations: (02) 633 8888.
my malaysian favorite! 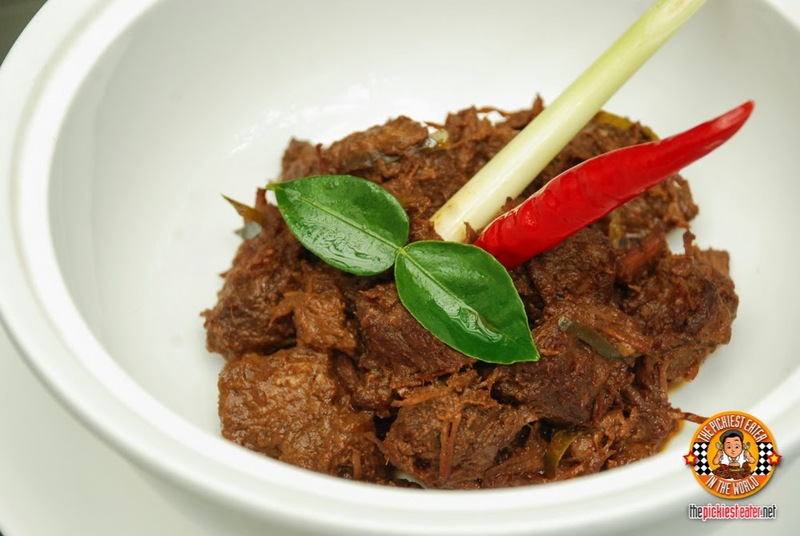 beef rendang :) so spicy pero really yummy kainis! hahaha :P do they also have the Penang Prawn Mee? Napapakanin ka sa anghang.. kaya nakakainis! They didn't have it in the tasting menu, but it'll most likely be in their rotation of dishes!